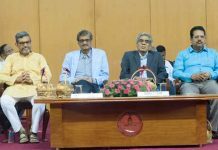 Chennai: Indian Institute of Technology Madras is co-hosting the First World Technology Universities Congress to be conducted outside the U.K. along with Hindustan Institute of Technology and Science from 28th to 30th November 2018. 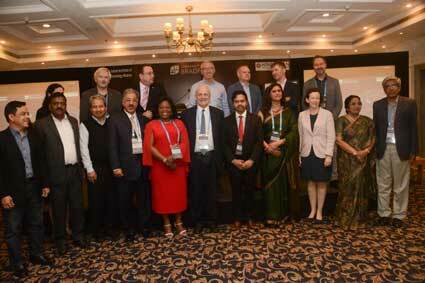 Over 100 delegates from 30 organisations across the world converged in Chennai to discuss some of the world’s major issues and challenges and explore how universities working together can meet them and deliver solutions. Among the discussion topics are how World Technology Universities Network (WTUN), launched during the 2017 Congress, can harness its collective strength for innovation through global collaboration and contribute to the United Nation’s Sustainable Development Goals. Marking the occasion, WTUN welcomed 4 universities from Canada, India, Nigeria and Thailand to its ranks as they signed the MoU on 29th November 2018 to join the Network. The new members will increase the WTUN’s ranks to 22 technology-focused institutions from Europe, Africa, Australia, Asia, North and South America. The new members are: University of Africa, Toru-Orua, Nigeria; King Mongkut’s University of Technology Thonburi, Thailand; Sandip University, India; and York University, Canada. Launched at the University of Bradford in 2017, the WTUN is a network of global technology universities committed to undertaking challenge-led, cutting-edge research to benefit people and society, and providing education to enable the next generation to tackle global challenges. Ø share best practice and provide opportunities for capacity-building among members. The Vision of WTUN is to create a global network of technology universities committed to undertaking cutting-edge, challenge-led research with direct benefits to people and society, and providing education for the next generation of global citizens who will have to respond to the world’s 21st century challenges. The main activities of the network are promoting collaborative research between member universities, facilitating links between world technology universities and industry, governments, public authorities, international organisations and NGOs besides encouraging and enhancing understanding of technology universities across the world. Next articleIIT Roorkee in World’s Top 250 in Engineering & Technology and tied at 3rd position at National Level in THE World University Subject Ranking 2019.